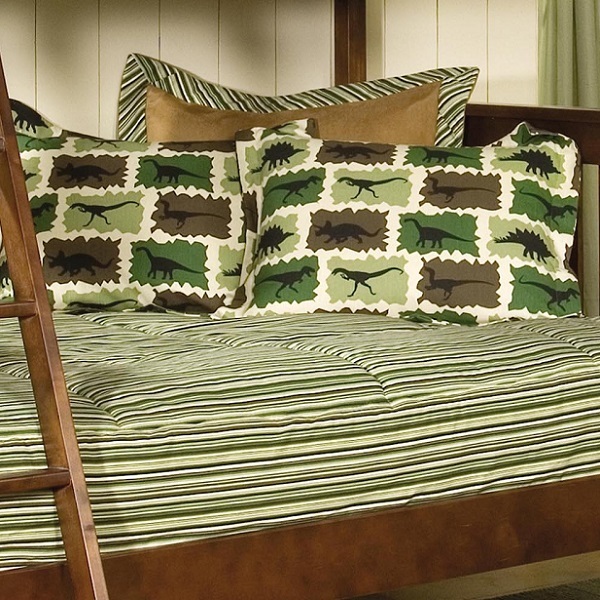 This is the only dinosaur bunk bed hugger we have right now and the stripe is gone from this collection! The hugger will be in the dinosaur print reverse to your choice of a solid color. 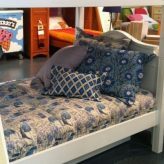 It is made with two tailored corners at the foot of the bed and a side drop that you choose to match your mattress depth. The hugger is sold alone – shams & pillows shown are not included but may be added. 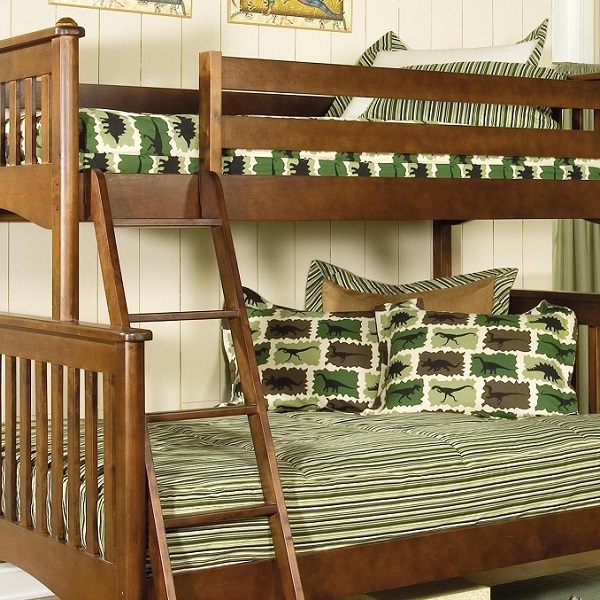 Huggers are fitted comforters – perfect for bunks, lofts, platform beds, and captains beds. 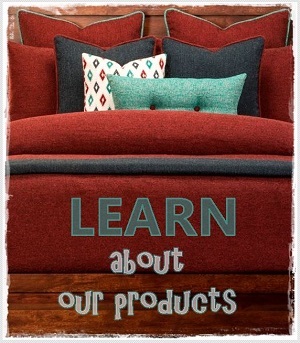 Don’t forget to try them on standard beds too giving you a very unique, tailored look to your bedding. 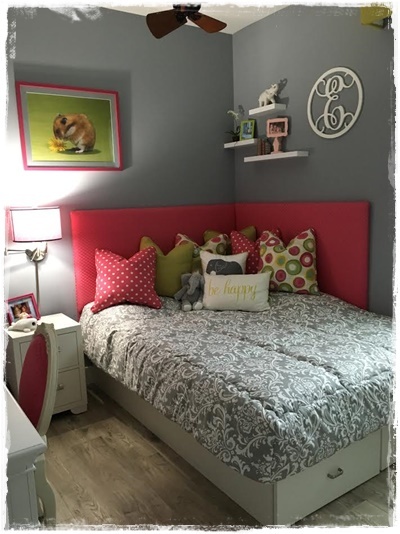 They are best used on a bed with a single mattress but if you choose to use them with a box spring & mattress, you just need to measure the side drop to cover both mattresses – usually 16-18 inches and it works well – especially with a nice foot board and bed frame! 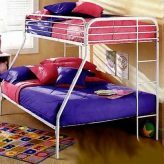 Fitted Dinosaur Bunk Bed Hugger for all bed types! 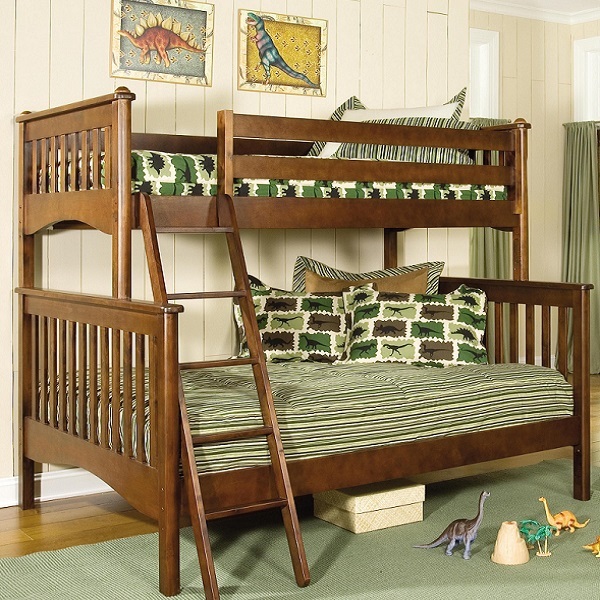 Retro Rex is our dinosaur bunk bed hugger. 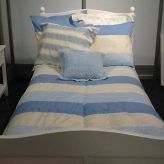 It is a fitted comforter with two tailored corners at the foot of the bed and a side drop to match your mattress depth. It is reversible and you may select the solid color for the reverse. 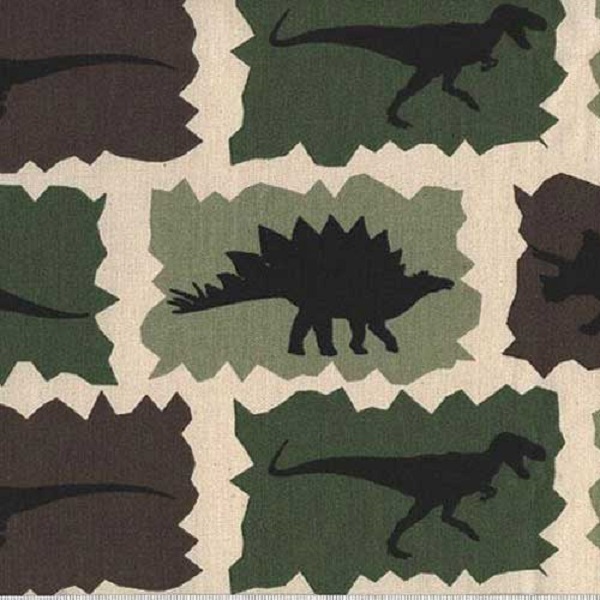 The only fabric left in the “Retro Rex’ is the dinosaur print. The stripe is gone. The hugger is sold alone – shams and pillows shown are not included but may be added. Consider adding inseparable attached sheets. 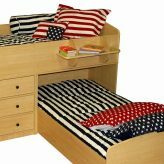 California Kids bedding for bunk beds is made of 100% cotton or mostly cotton. It is machine washable, and proudly made in the USA.